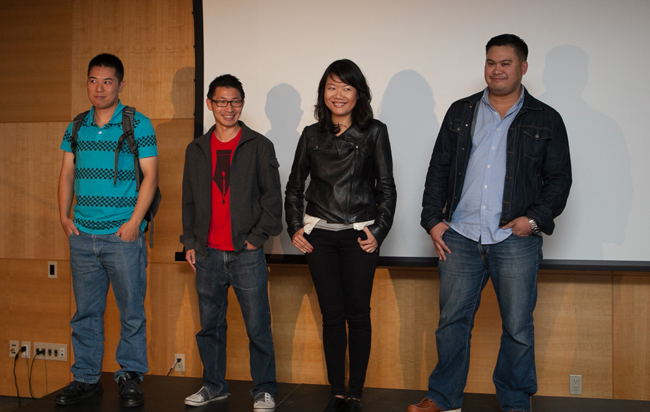 Reel Asian is proud to announce this year’s 2012 So You Think You Can Pitch? finalists! After weeks of sleepless nights and chronic nail biting, we are proud to announce our 6 stellar Finalists for our annual So You Think You Can Pitch? competition. Be sure to catch these fearless teams duke it out on Sunday, Nov 11 at Royal Cinema (608 College St). What’s at stake? Over $35,000 in cash prizes, product and in-kind services supported by Charles Street Video, National Bank, Ouat! Media, Behind The Scenes Services and Samsung. Bring friends! The Pitch Live Finale is open to all Festival and Industry Series guests in addition to being Free to the public. See the Finalists bring their A Game as they wow the audience and our brand new Pitch Jury – Silva Basmajian (National Film Board), Paritosh Mehta (Rogers Media), celebrated director Richie Mehta (Amal) and Special Guest Juror/filmmaker David Wu (Cold Steel). Congratulations to our Finalists. We wish them all the best of luck! Check out the rest of Reel Asian’s exciting Industry Series line up.